Vienna, Austria - Working internationally with a strong presence in the German speaking area around Germany, Austria, Switzerland - Master degree in Informatics and Business Informatics - Diploma in Coaching and Organizational Development..
Find Mike's extended Agile Leadership Offering also at http://agileleadershipjourney.com. Work and Experience - Mike works as an Executive Consultant, Agile, Lean and Business Coach with Agile Experts e.U. He has more than 25 years experience as manager, IT consultant and coach with large international groups as well as with smaller teams and startups. He coaches leaders, whole organizations and teams. With his expertise and know-how he helps facilitating effective Agile transformations for large and also smaller organizations. As consulting member of the "Heart of Agile" Team, Mike collaborates closely with agile manifesto author Alistair Cockburn. Services and Expertise - Mikes passion is on topics such as Agile leadership, Innovation, Design Thinking, new ways for change management and the establishment of highly adaptive „Learning Organizations“. Together with his business partners he runs an “Experience Hub” for totally new approaches to shape work and organizations. 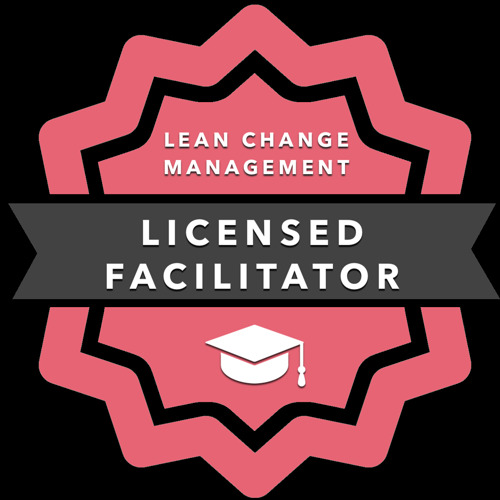 Mike is an Accredited Kanban Trainer (AKT) of LeanKanban University, a Scrum trainer, a Scrum in Hardware trainer with Scrum Inc., and he was one of the first licensed Management 3.0 facilitators. As a consultant, trainer and coach he works with whole organizations, leaders, teams and individuals to make transformation happen and stick. In this context Mike also became a Lean Change facilitator, collaborating with Jason Little on highly adaptive change methods. The courses - What's different about Mike's Management 3.0 classes? We don't just focus on the standard class outline, but cover a comprehensive agenda with practical deep-dive for the individual leader's personal development, the organization's opportunities and effective change approaches. By adding our own know-how with different organizational cultures as well as pragmatic modern management, participants experience a course design, maximizing actionable and inspiring content at the same time. And we not only provide huge experience applying Lean and Agile principles with large IT and industrial organizations, but have a growing record with creative agencies, non-IT departments or diverse industries. Community - In addition to that Mike is committed to co-facilitating non profit communities such as Scrum User Group Vienna, local meetups (e.g. ProductTank Vienna, Agile Gamelab Vienna, Agile Coach Exchange Vienna) or the Agile Lean Europe network. He speaks frequently at international conferences and teaches at universities in Wr. Neustadt, Krems and Graz. Book - Mike currently works on a brand-new book around Adaptive Organizations, bridging the gap between classical type of organizations and highly innovative startups. It dives deep on the need and concrete practices for growing adaptation capabilities and sustaining the speed of change and disruption, today's business landscape shapes. Interested in early content? - drop your contact information to adapt-book@agileexperts.at. Mike was relaxed and easygoing in manner. He was very professional and gave plenty of opportunity for participation, encouraging interaction between the group. Mike is extremely knowledgeable in various areas around "lean" and "agile". At the same time he is humble enough to accept other views and other views plus their inventors/presenters. I really like his balanced style and approach. Mike is a great trainer and very knowledgeable in many areas such as OD, Project Management to mention only a few. He is also very flexible and help participants with specific change challenges. A very deep knowledge in the various fields touching change management. I will use the lean change mgmt concept right away on my next change project! This workshop is a 100% recommendation. Ability to express himself well. Good observer and facilitator of learning. Used good exercises/practical application. Good work tempo. The facilitator managed the event in an excellent way. A lot of good hints and experiences were shared. We got also a lot of time to talk about our problems and how solutions could look like.